We certainly are interested! Thank you very much for the lovely review. 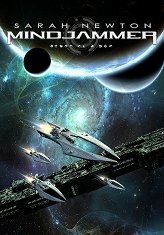 I hope you’ve had a chance to check out the plethora of Mindjammer supplements that have come out over the last year as a result of our Kickstarter, and that you’ll join us tomorrow for the launch of “Mindscape Updates”, our new monthly column of setting and location ideas for our games. Might I recommend the PDFs, they are of great quality.